‘Tis the season to gather with friends, family and loved ones! 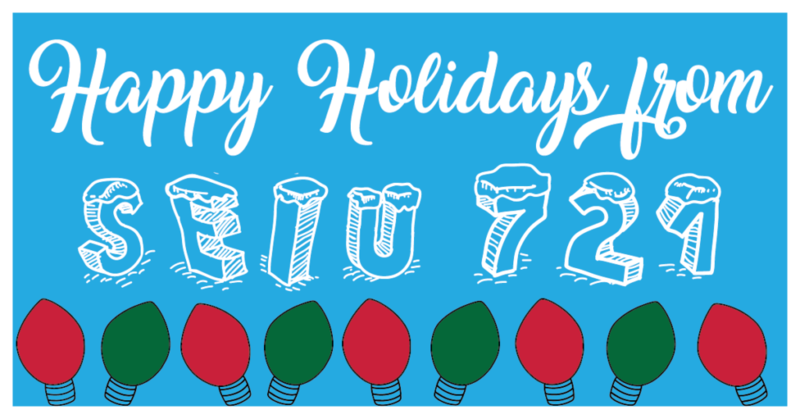 You and your fellow SEIU 721 Brothers and Sisters have worked hard all year. So be sure to enjoy the fruits of your labor over the holidays! And remember: While millions of people are enjoying Christmas and New Year’s celebrations, some of our SEIU 721 Brothers and Sisters will be on the job keeping our cities and counties functioning. These members personify the best in public service. Their example renews our determination to fight hard in 2018 to maintain quality wages, benefits and working conditions for our members.